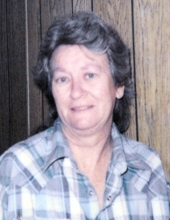 Cheryl Lee Moore, daughter of the late Isaac and Bertha (Benefiel) Clary, was born November 23, 1943, in Artesia, California, and departed this life on December 2, 2018, in Nixa, Missouri. She was 75 years and 9 days of age. Cheryl was raised in California and graduated from Bellflower High School. She was united in marriage to Wayne Hubert Moore on February 25, 1967 in Winterhaven, California. Wayne passed away on October 27, 1999. Cheryl was an independent woman who knew the meaning of working hard to make a living. She had worked at many various jobs throughout her life. She greatly enjoyed being a small business owner of several small cafes. Cheryl enjoyed craft working, horses, and travelling. She was known by her grandchildren as “Gypsy Grandma.” Her greatest joy was spending time with family and friends. She loved it when everyone could get together. She will be dearly missed by all who knew and loved her. Besides her parents and husband, Cheryl was preceded in death by two brothers, Verle Clary and Donald Clary and four sisters, Mildred Moore, Norma Jean Bradley, Glendora Flournoy, and Judy Holman. Survivors include one son, Michael Mayes of Sparta, Missouri, one daughter, Michell Byerley and husband, Justin, of Wasola, Missouri, seven grandchildren, Travis Mayes, Tina Vallance, Susan Mayes, Zachary Allen, Michael Moore, Nicole Byerley, and Dustin Byerley, four great-grandchildren, Noah Vallance, Makayla Mayes, Marshall Mayes, and Matthew Mayes, and two brothers, Vernon Clary and Dean Clary, both of Marino Valley, California. To send flowers or a remembrance gift to the family of Cheryl Lee Moore, please visit our Tribute Store. "Email Address" would like to share the life celebration of Cheryl Lee Moore. Click on the "link" to go to share a favorite memory or leave a condolence message for the family.